Tomorrow the Crafts Council launches Make: Shift, a conference taking place in London exploring the emerging relationship between crafts and technology. This follows an eventful few months where craft and craftsmanship have been (rightly) making headlines. It all started sometime last year when the UK government's Department of Culture, Media and Sport (DCMS) proposed dropping crafts from its list of recognised creative industries. Of course, this is crazy talk and it immediately produced a backlash. New research from the Crafts Council shows that last year craft skills generated £3.4bn for the UK economy, with 150,000 people employed in businesses driven by craft skills, in engineering, science, design, architecture, fashion and film. The figure is far larger than expected and includes the value that craftspeople bring to different industries including science and technology. Examples include the glass artist Matt Durran's work at the Royal Free Hospital to develop glass moulds for growing bio-engineered organs such as noses; and jeweller Lynne Murray’s pioneering work in augmented reality through her company Holition, which develops interfaces through which customers can virtually try on jewellery. So craft is important (I never doubted it anyway!) and just over a week ago the Crafts Council launched their brilliant new manifesto at the House of Commons which aims to reinstate craft skills as a core part of the UK's education curriculum. Making develops creativity, inventiveness, and problem-solving, yet strangely it is gradually being dropped from schools and universities. "Between 2007 and 2012 following changes in educational policies, student participation in craft-related GCSEs fell by 25 per cent," says the Crafts Council. "In higher education, craft courses fell by 46 per cent." This comes at a time when elsewhere around the globe investment in creative education is rising. The Craft Council's manifesto makes five calls for change, including putting craft and making at the heart of education, building more routes into craft careers, bringing the entrepreneurial attitude of makers into education, investing in craft skills throughout careers and promoting higher education and artistic and scientific research in craft. Change is needed - a number of leading education courses for craft skills have faced closure over the past five years. These include the celebrated Harrow Ceramics course, Bucks New University in High Wycombe, whose excellent Furniture Design course focused partially on traditional craft skills and now Falmouth University has just announced that it is closing its Contemporary Crafts degree to make way for Digital Gaming and Business Entrepreneurship. The Contemporary Crafts degree, with historic roots in Cornwall's creative culture, is considered a vital part of the Cornish economy. Living in Cornwall myself, I find it misjudged of them to close this course. Transforming it would be a far better option - and if they want ideas of how - I've got plenty! An online petition has been launched to try and save the Contemporary Crafts degree at Falmouth. You can sign the petition here. 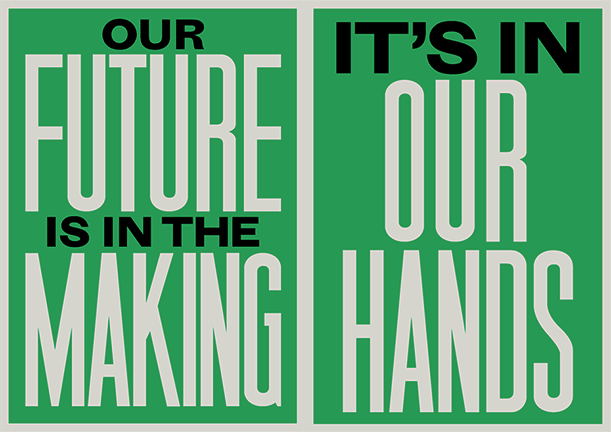 As the Crafts Council's manifesto says, "Our future is in the making. It is in our hands".